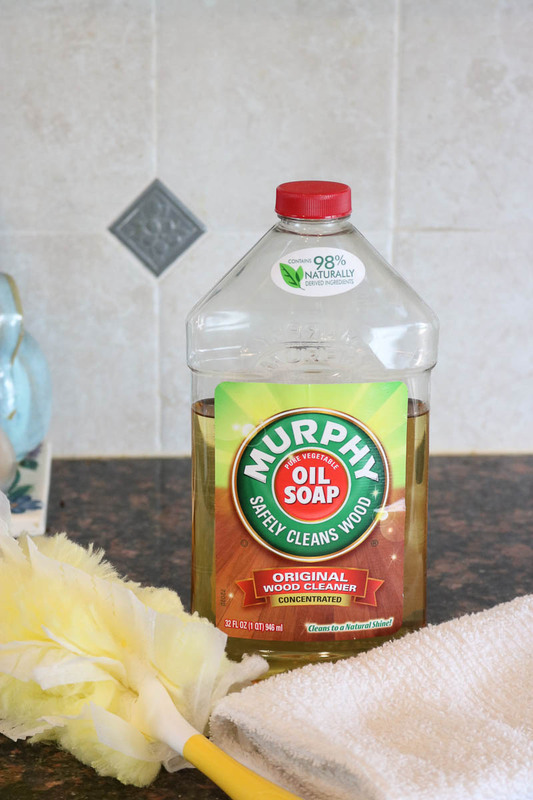 How to Clean Kitchen Cabinets so they SHINE! - Self Cleaning Home Part 6! 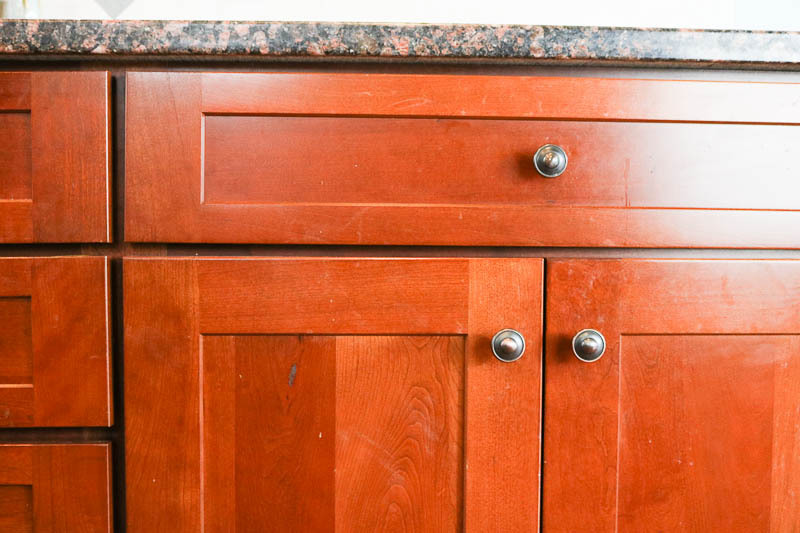 How to Clean Kitchen Cabinets so they SHINE! – Self Cleaning Home Part 6! If you’re just joining us, go back to week 1 and start there! Or you can go to the Self Cleaning Home Page and work your way through the series. Take one week at a time and really get that single habit ingrained before moving on to the next habit. Six weeks cleaning the kitchen may seem like a loooong time, but when you are building habits, the slower the better. My kitchen is really starting to look good on a daily basis! Like, I wouldn’t be totally mortified if you stopped by and I had to invite you in. Now, that’s a big win for me. And I hope for you, too! It’s so comforting to know that I’m almost company ready at a moments notice… at least in the kitchen! 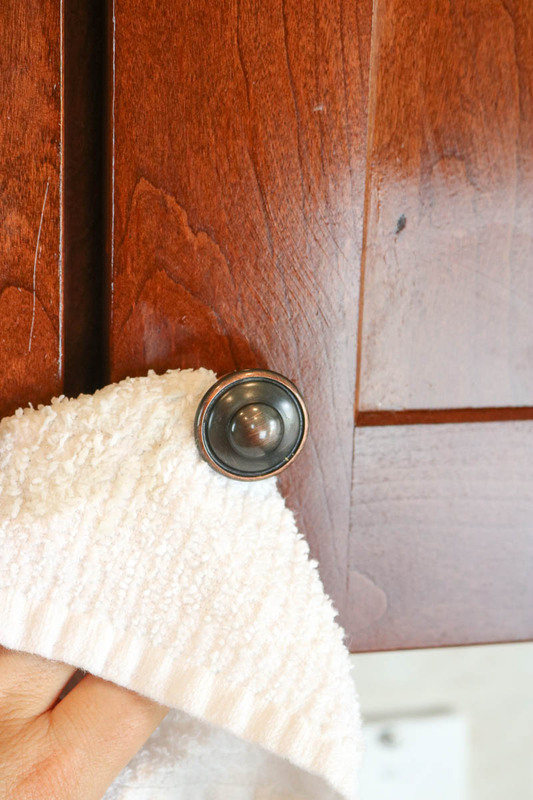 So this week, we’re going to talk about how to clean kitchen cabinets (wood cabinets) so they SHINE! 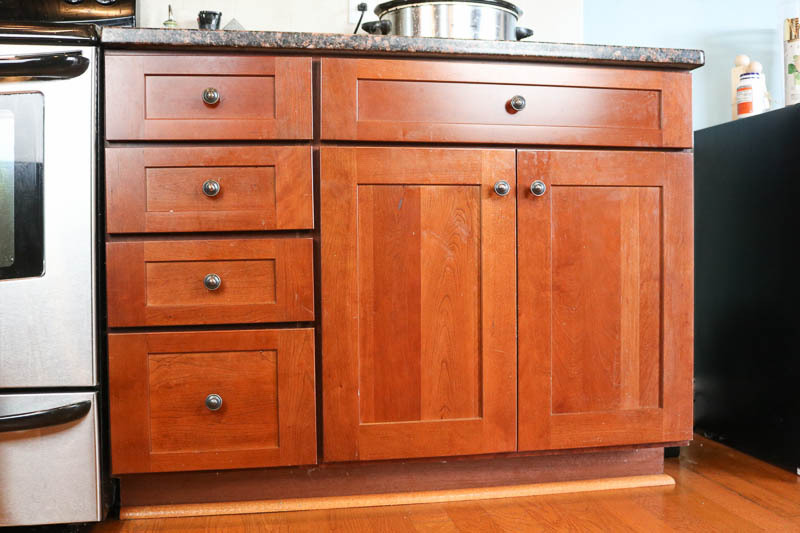 I have searched for years to find the right way to clean kitchen cabinets. I finally just gave in and resorted to a damp cloth which did OK. But I never felt like I got all the grimy grease off of the surfaces and it never looked really beautiful like in the magazines. Not that I’m totally self-absorbed and need my home to look like a magazine. I’d just like it to be decent and in order. Shiny kitchen cabinets always felt like a pipe dream. Not anymore. 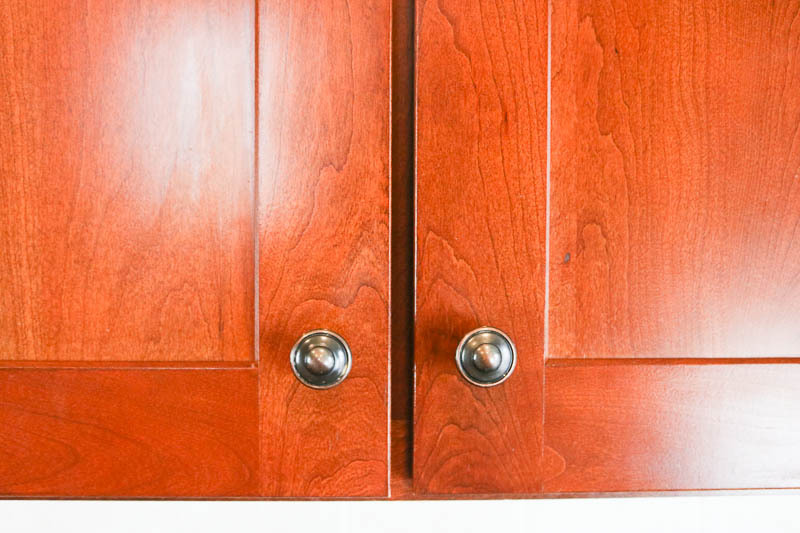 My kitchen cabinets are shining their hearts out now. Here’s how you can get them too. 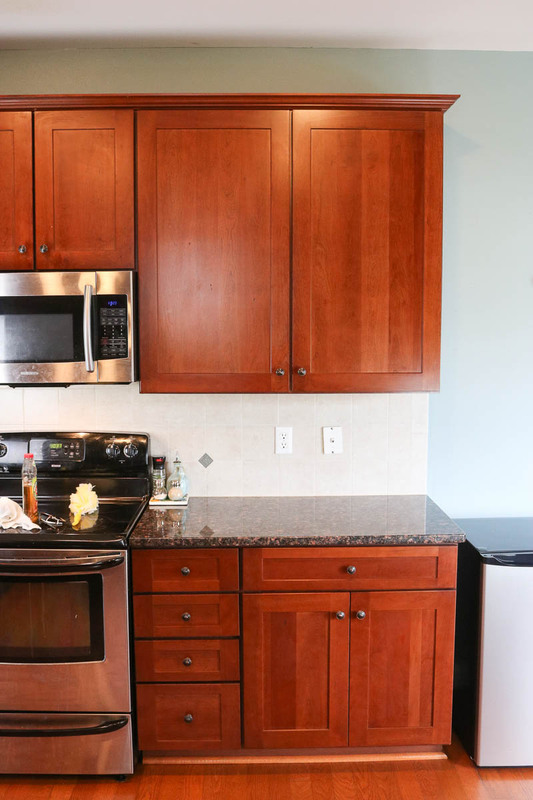 How to Clean Kitchen Cabinets so they SHINE! First, let’s take a look at the before. These doors are dirty. Like down and dirty, McGirty. They get totally grimy especially around the knobs. But my lower cabinets just get dirty all over. It’s unsightly, I say! 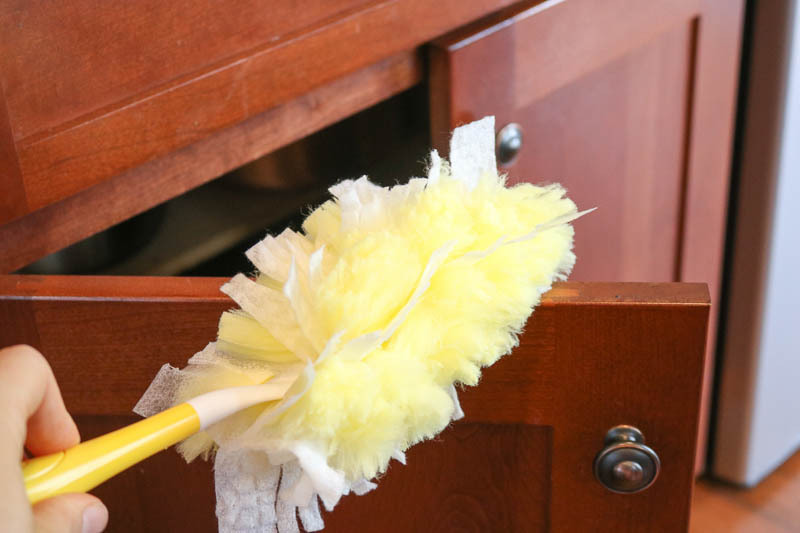 The first step to clean kitchen cabinets is to dust. 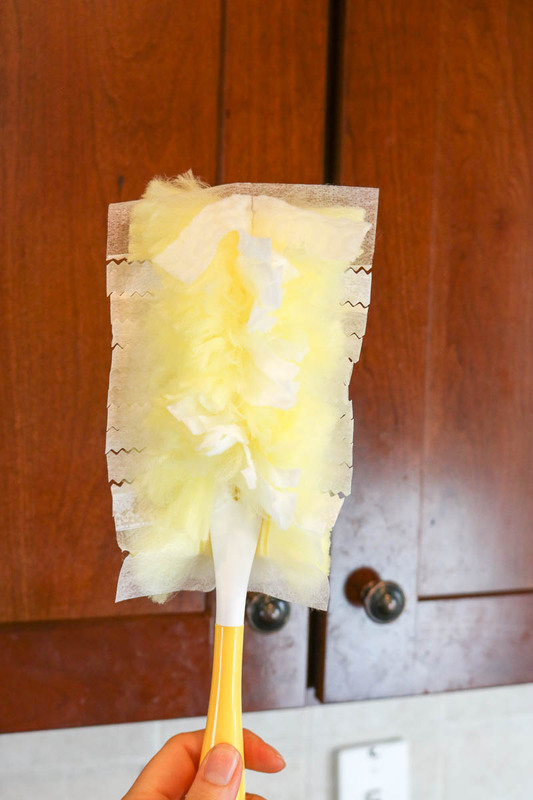 I use and love my Swiffer 360, and it works better than any other duster I’ve ever used. 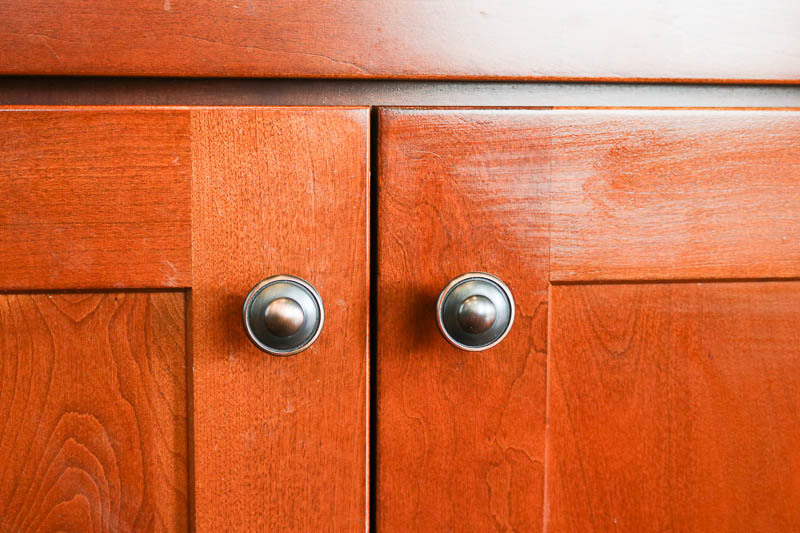 Just give the outside of your cabinets ( the fronts and the edges) a quick dusting with your wand. 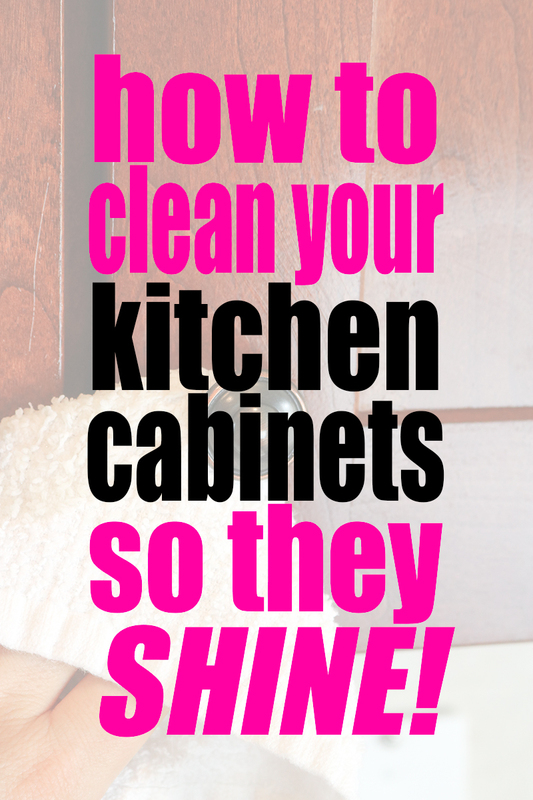 Now, it’s time to clean and shine your cabinets. 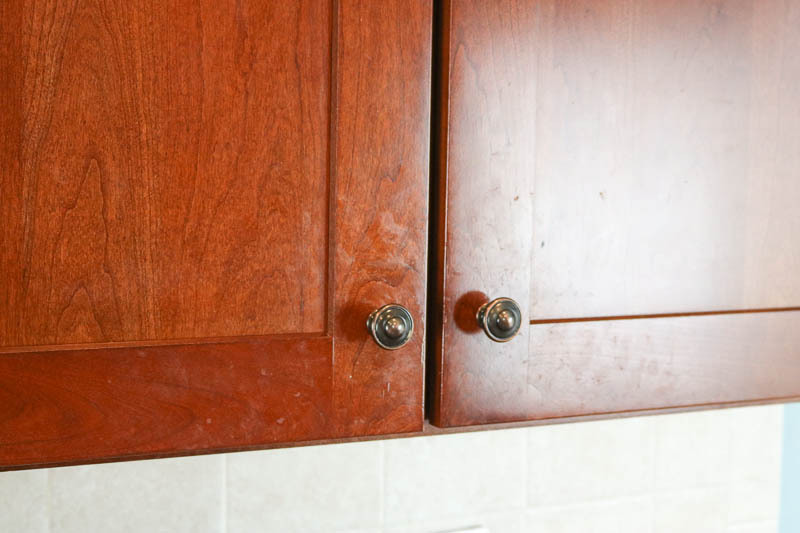 This is the secret to really shiny kitchen cabinets. 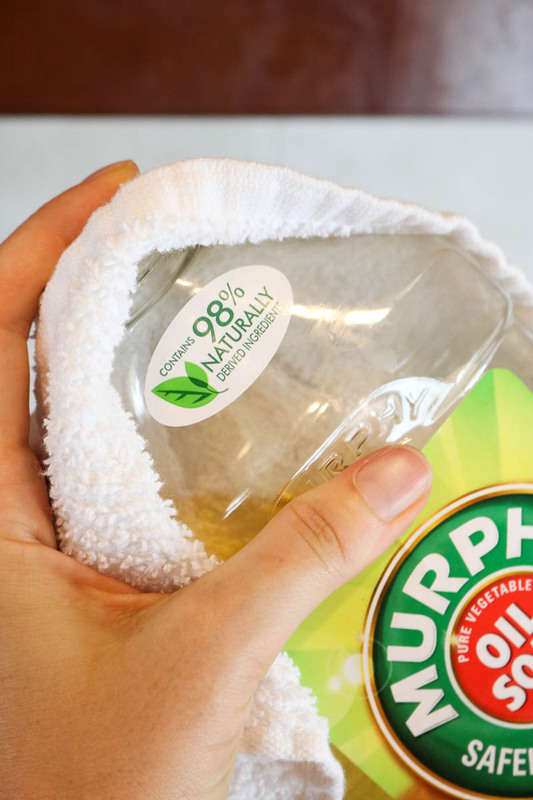 Murphy’s Oil Soap. You can get it in the concentrated bottle, like I use or it does come in a spray version. First, dampen one end of your rag. Then, on the other end, add a bit of the oil soap. First, we’ll use the oil soap to wash the cabinet and get all the grease and grime off. Then use the damp end to shine it up and really spread the oil soap over the surface of the cabinet. And that’s it! 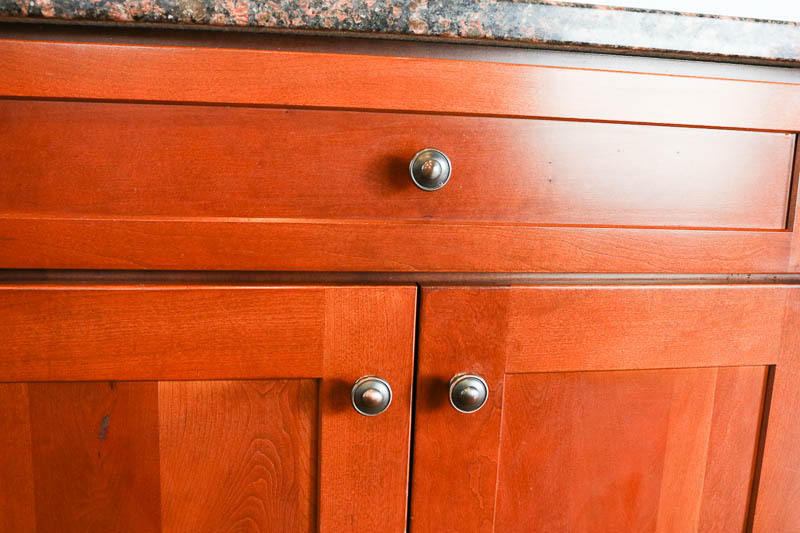 It’s the best solution that I’ve found for wood cabinets. See the difference? The left cabinet is dirty and the right cabinet is clean and shiny! I generally take a whole week when I’m working on my cabinets. It’s quite a job! Then, I’ll touch up throughout the month until I see them getting really bad and take another week to deep clean. But they really look amazing when they are clean! Like the day we moved in. If you have any questions, just pop them down in the comments below! P.S. See you next week when we’ll tackle the fridge! What about the hinges? I have those inside the door chrome hinges and they’re pretty gross. I was thinking of buying a steamer for them. Thoughts? I think a steamer is a perfect idea, Dennis! I might pull mine out and give it a whirl!